Peace Corps worker Joseph Opala went to Africa to help villagers grow rice. On a hill cleared by farmers, the 24-year-old anthropologist found something else: pottery shards and stone tools in the dirt above the Rokel River. Looking further, he found glass beads and broken bits of tobacco pipes. 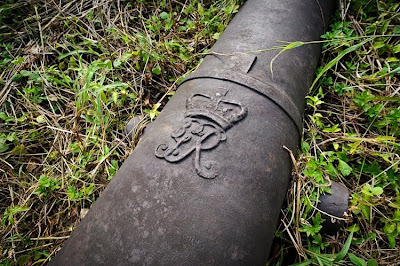 What were European beads and colonial pipes doing in the rice fields of Sierra Leone? "Ultimately, it dawned on me," he says. "I was on a major slave route." Opala was standing on an 18th-century footpath used by slave raiders to march Africans to the coast. 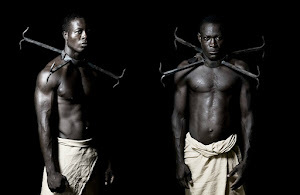 The raiders -- who terrorized villagers with swords and guns -- sold Africans to coastal traders or British slave ships headed to North America or the West Indies. But where did the ships come from? And where did they go? Opala, who grew up in Oklahoma, would spend the next 30 years looking for answers. "I did not expect to follow the clues to Newport," he says. WITH BACKING from the University of Sierra Leone, Opala opened an archaeology lab in 1977 and began unearthing more artifacts in sites around the village of Bumbuna. The U.S. ambassador to Sierra Leone, Michael Samuels, had heard about Opala's project, and told him he was digging in the wrong place. You ought to go to Bunce Island, he said. 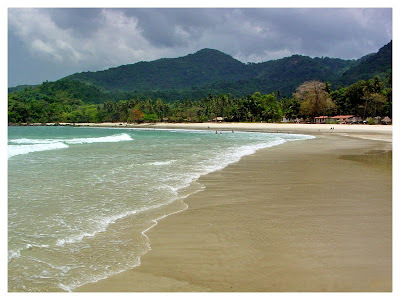 So it was that Opala took a boat to the small island, in the wide mouth of the Sierra Leone River. 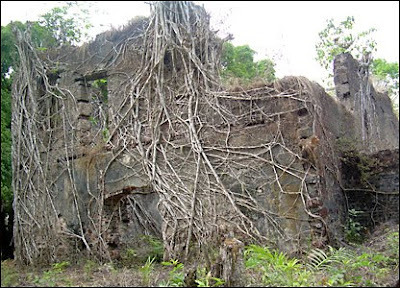 The island once housed the largest slave fort on Africa's Rice Coast, an area that stretched from modern-day Senegal to Liberia. 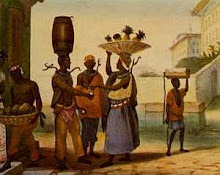 In the 1700s, the British added offices, a shipyard and a holding pen for stolen Africans. Now, half hidden by tree roots, some walls rose as high as 40 feet. Tropical light filtered through crumbled windows, doorways and arches, some 20 miles from Freetown, the country's capital. At the north end, Opala stood on the jetty where thousands of Africans had been exiled from their villages. Sifting through the sand on the beach, he found shards from centuries-old wine and gin bottles. 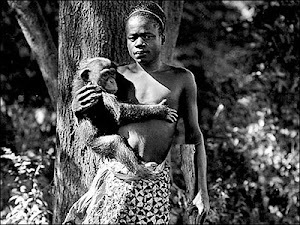 Opala had come to Africa to study prehistoric tools and cultures in a world far from his own. Instead, he was staring at America's dark past. 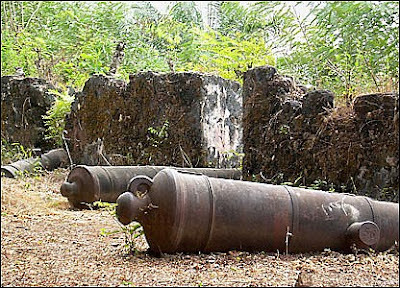 OPALA STUDIED gravestones, combed through two dumps and, back in Freetown, found early descriptions of the slave fort. But he wanted something more. He wanted an oral account of what had happened on that island. 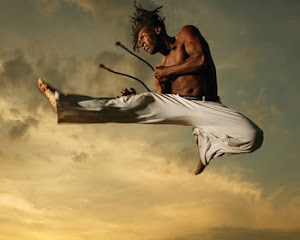 He sought out an elder in the village of Sangbulima on the nearby island of Tasso who might help. What do you know? Opala asked. The chief pointed downriver, toward the ocean. "The white people took our people," he said. He paused. "They took them to Europe, where they died from the cold." No, no, Opala said in Krio, a mix of English and African languages. They didn't go to Europe. They went to America. And they didn't all die. Many did, on the passage over, but many others survived and stayed in America. The chief asked, "America is a rich country, isn't it?" 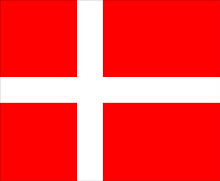 "That means I have family in a rich country. That is good news." At the elder's request, Opala stayed to tell the same story to the other villagers, some of them fishermen. Suddenly, everything Opala ever knew about black history tumbled out. 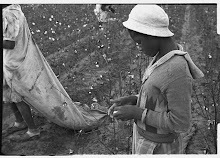 Africans in chains, crowded slave ships, cotton plantations, the Civil War, emancipation, Abraham Lincoln, segregation, voting rights, even the assassinations of Martin Luther King Jr. and John F. Kennedy. The villagers listened intently to the stranger's story. 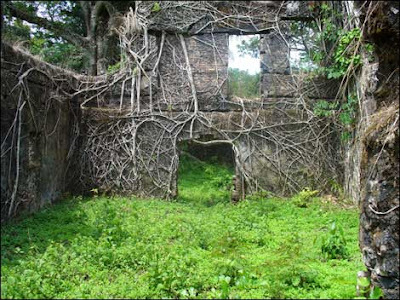 OPALA RETURNED to Bunce Island haunted that he may have misled the villagers. After all, he really didn't know how many Africans from Sierra Leone had been brought to the New World, or what happened to them when they arrived. Back in the United States, Opala tried to find out. 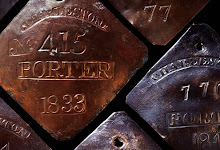 One of his first discoveries was a collection of the letters of Henry Laurens, a slave trader in Charleston, S.C. Laurens, a junior partner in the trading firm Austin & Laurens, specialized in importing slaves from the Rice Coast. 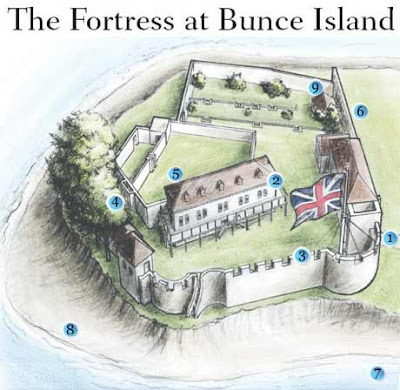 Laurens worked closely with Richard Oswald, one of the British owners of the Bunce Island slave fort. Every year, Oswald's agents dispatched several ships to Charleston, each carrying between 250 and 350 slaves. 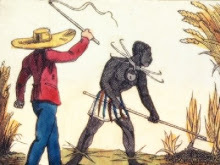 The South Carolina colonists, who grew rice from Asia in the swamps of the low country, were willing to pay high prices for slaves from the Sierra Leone region because they had rice-growing skills. 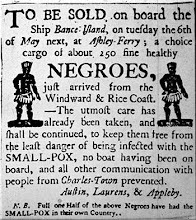 That's why Austin & Laurens advertised healthy Negroes for sale, "just arrived from the Windward & Rice Coast." 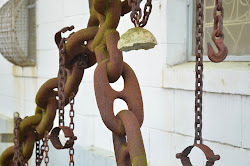 Opala had found a link between Bunce Island and South Carolina. 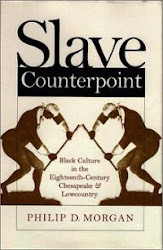 More importantly, he knew that the culture the slaves had brought with them from West Africa in the 1700s had survived. By 1708, blacks outnumbered whites in South Carolina, a unique situation among the Colonies. 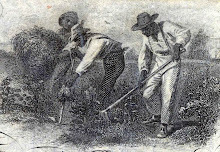 After the Civil War, the freed slaves continued to live in isolation, in rural areas and on the Sea Islands along the South Carolina and Georgia coasts. 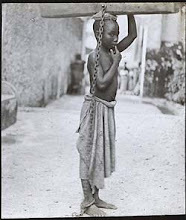 Called the Gullah, they made baskets for husking rice, just as the slaves and the Africans had done centuries earlier. They ate rice at every meal. And they painted their doors blue, to scare off evil spirits. As late as the 1940s, a black linguist found Gullahs who could recite songs and stories in the African languages of Mende and Vai. 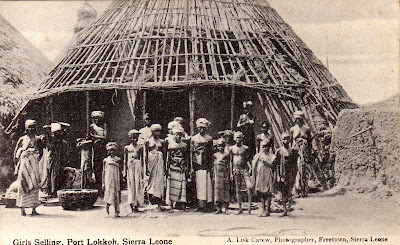 Their English-based language was similar to the Krio spoken in Sierra Leone. 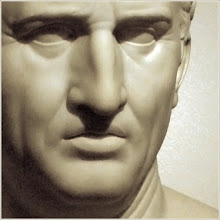 Some expressions -- like bigyai, or greedy -- were identical. Opala could tell the old African chief where his people had gone. 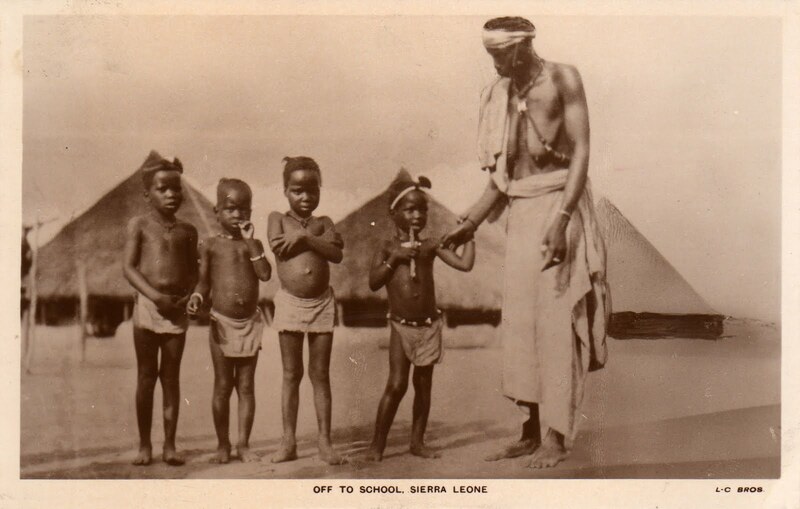 OPALA RETURNED to Sierra Leone in 1985, to teach. 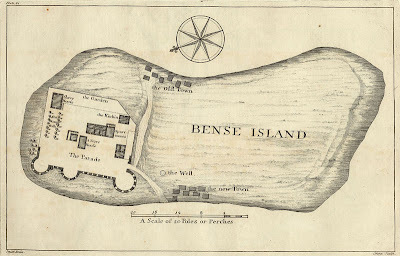 At a lecture at the U.S. embassy, he talked about the slave-trade connection between Bunce Island and Charleston. Near the end, he mentioned the Gullah people. 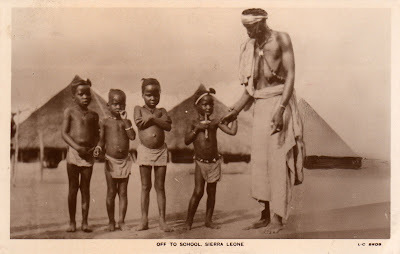 The Sierra Leone slaves, he said, had gone to South Carolina, Georgia and Florida. "It was like I had dropped a match into a tank of gasoline," Opala says. Newspapers and radio stations reported Opala's discovery. A new phrase appeared: the Gullah Connection. "It created a popular sensation," says Opala. "Because Sierra Leone is a tiny little country, it never occurred to them that their people were concentrated in a part of America. "Every community and church group wanted me to speak. They wanted to know everything about the Gullah. Do they make that dish? This dish? They wanted to know if these people were their lost twins." When the country's president, Joseph Momoh, visited the United States in 1988, he made a special trip to Charleston to visit a Gullah community on St. Helena Island off the South Carolina coast. A year later, more than a dozen Gullahs from the United States visited Sierra Leone in a "homecoming" chronicled in the documentary film Families Across the Sea. "Two hundred and fifty years ago, we were all one," said a Sierra Leone official, in a welcoming speech. "History separated us, but history has now brought us back together." In 1992, when Colin Powell visited Bunce Island, he said little as Opala showed him the site. In his autobiography, My American Journey, Powell recalls what he was thinking during that visit. "I am an American . . . but today, I am something more. I am an African too. I feel my roots here in this continent." Opala stayed 12 years, during which he made many connections between the two continents. But could he trace a specific person from Africa to America? He could not. AS A BOY, Edward Ball had heard stories about his family's slave plantations on the Cooper River. As a man, the stories darkened his dreams. Born in Savannah, Ga., Ball left the deep South to study at Brown University. Later, he wrote a column for the Village Voice of New York. Then, in 1995, he moved into a moldy Ball mansion in Charleston. From there, he could walk to the southern tip of the city, where his ancestors had purchased slaves kidnapped from Africa's west coast. He felt accountable. 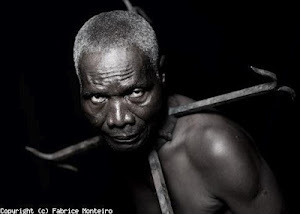 He wanted to explain how his ancestors had amassed nearly 4,000 slaves during a 167-year span, from 1698 to 1865. He wanted to tell the stories of the slaves, too. Working independently, and using the empty Ball house as a base, he pored over 18th-century family records kept in libraries, universities and historical societies in two states. 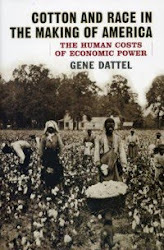 The Ball family, he discovered, had entered the slave business "in the birth hours of America." In 1698, 22-year-old Elias Ball sailed to Charleston from Devon, England, to claim his uncle's inheritance. By then, the colony's slave trade was thriving. 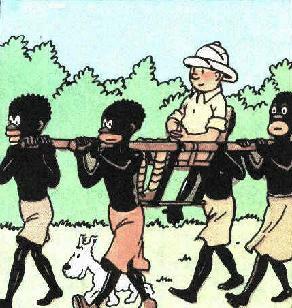 On the docks, nearly every other person was black. Young Elias inherited 20 slaves and the 740-acre Comingtee plantation, a tract of cypress trees, mucky swamp, and pine, oak and magnolia trees in St. John's Parish. The first of many Ball land owners, he left 1,000 acres to Elias Jr., who later purchased Limerick plantation to add to his holdings. A daughter, Eleanor, married the slave trader Henry Laurens. "I knew a lot about the Balls, but I never knew much about the slaves," Edward wrote later. "What were their names? How did they live? Who were their loved ones? TO FIND some answers, Ball started reading the family's 10,000 papers -- mottled, worm-eaten ledgers, letters, slave lists and receipts. Early in his research, Ball discovered a letter written to his father's grandfather, Isaac Ball. 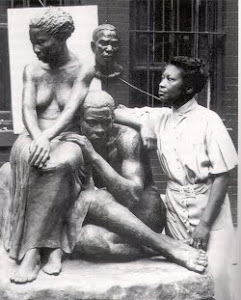 The 1926 letter, from a freed slave, P. Henry Martin, began, "Dear Mas' Issac." Martin wrote that he was sorry to hear that Isaac's wife had died. "I consider all Balls are connected with my old Master. I have them to respect." The letter had a return address: Pinewood, S.C.
Ball started calling all the Martins in the area. He found P. Henry Martin's grandson Thomas. The first time they spoke, Thomas Martin, retired after years of teaching and working as an assistant principal, told Ball he had been trying to find out more about his grandfather. P. Henry Martin had died in 1933, when Thomas Martin was only a few months old. Before his death, the elder Martin had created a family tree, beginning with his own generation. Thomas didn't know much else about his ancestors. But by then, Ball did. He shared what he knew. 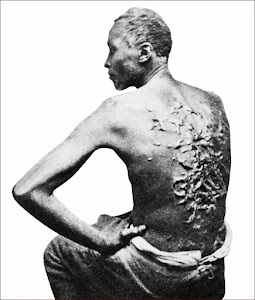 P. Henry Martin was born, simply, as Henry, to a slave on Oct. 6, 1855, at Limerick plantation. 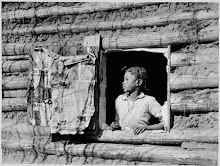 He was 9 when, on a Sunday in February, federal soldiers rode onto the plantation and told the slaves they were free. 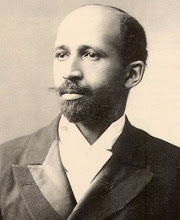 Henry took the surname Martin and attended one of the first schools for blacks in the area. 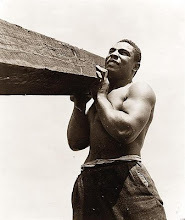 He married, worked as a carpenter, and helped found a black church in Charleston, where he gave sermons. He had 10 children. The second child, Peter Henry Martin Jr., a roofer, was Thomas Martin's father. Did Thomas want to see Limerick plantation, where P. Henry Martin was a slave? Ball asked. The two men visited the site where, in the early 1800s, 283 people had worked 10 rice fields on the river. They walked among the oaks. "This is hallowed ground," Martin said. BALL RETURNED to his research. Reading over old slave ledgers, he came across two entries dated June 30, 1756, that would result in the most remarkable discovery of all. 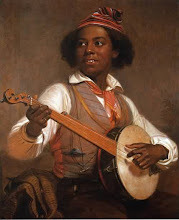 On that day, Henry Laurens sold a group of children who had arrived on the slave ship Hare to his brother-in-law, Elias Ball Jr. Elias had named one of the children Priscilla. "Through arduous reconstruction" of the family's genealogy, Ball was able to link Priscilla and her children to P. Henry Martin. The Martin family tree was suddenly complete: from West Africa to Charleston, S.C.
Ball drove back to the Martins' two-story home and showed them their family tree, with the child Priscilla on one end and Thomas Martin and his childen on the other. The family, gathered in the living room, sat silent, wondering why slave traders would sell children. Thomas' only daughter, Thomalind, 19, tried to take it all in. She was stolen from Africa. And brought to America in a ship owned by prominent Rhode Island merchants. Her story is 1 in 11 million. Unlike so many others, it can be told. Two scholars from Brown, and Yale, along with a group of Rhode Island artists have completed the circle of her life. write a litte more on this topic? I'd be very thankful if you could elaborate a little bit more. Cheers! you present. It's great to come across a blog every once in a while that isn't the same out of date rehashed information. Fantastic read! I've saved your site and I'm including your RSS feeds to my Google account. Hello outstanding blog! Does running a blog such as this take a lot of work? I've absolutely no knowledge of coding however I was hoping to start my own blog in the near future. Anyways, if you have any suggestions or tips for new blog owners please share. I know this is off subject nevertheless I just had to ask. Kudos! here, really like what you're saying and the best way during which you assert it. You make it enjoyable and you still care for to stay it smart. I can not wait to read much more from you. This is actually a tremendous website. My blog has a lot of completely unique content I've either written myself or outsourced but it appears a lot of it is popping it up all over the internet without my authorization. Do you know any techniques to help prevent content from being ripped off? I'd genuinely appreciate it. Joseph Opala thanks for your comment. I'm such a fan of your research and scholarship! I've made peace with my inner nerd. My friends and family scoff at this site, but I have found a welcome audience of kindred spirits who find history as fascinating as I do. What can I say about "The Priscilla story," except thank you. Her story is the story of America from the colonial days to the present day. 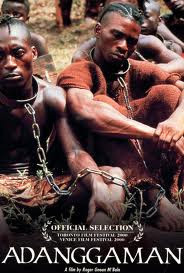 You uncovered a riveting historical story that should be as well known as Alex Haley's "Roots."